Hincher, Ambrose M., head-of-household, age 21, born in North Carolina; completed 5th grade; on Apr 1 1935 was living in rural Wilkes County, North Carolina; rented farm ($4/month rent); occupation: farming, farm. 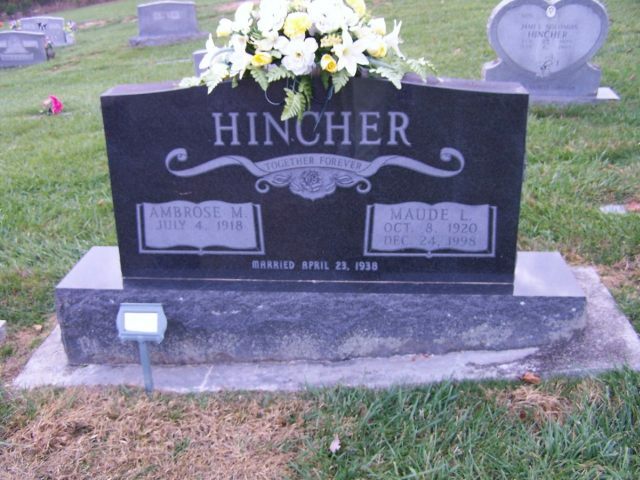 Hincher, Maud, wife, age 19, born in North Carolina; completed 4 years of high school; on Apr 1 1935 was living in rural Wilkes County, North Carolina. Hincher, Fred M., son, age 10 months, born in North Carolina. Hincher, Sam W., head-of-household, age 24, born in North Carolina; completed 5th grade; on Apr 1 1935 was living in rural Wilkes County, North Carolina; occupation: farming, farm. Hincher, Mabel, wife, age 18, born in North Carolina; completed 6th grade; on Apr 1 1935 was living in rural Alleghany County, North Carolina. 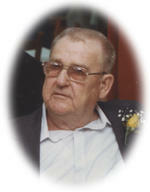 Mr. Ambrose Milton Hincher, age 89, of Hincher Road, Elkin died Tuesday, May 20, 2008 at Hugh Chatham Memorial Hospital in Elkin. Funeral services will be held Friday, May 23, 11:00 at Old Roaring River Baptist Church with Elder John Ervin Lyon and Elder Roger Tilly officiating. Burial will be in the church cemetery. The family will receive at Reins-Sturdivant Funeral Home from 7:00 until 8:30 Thursday night. 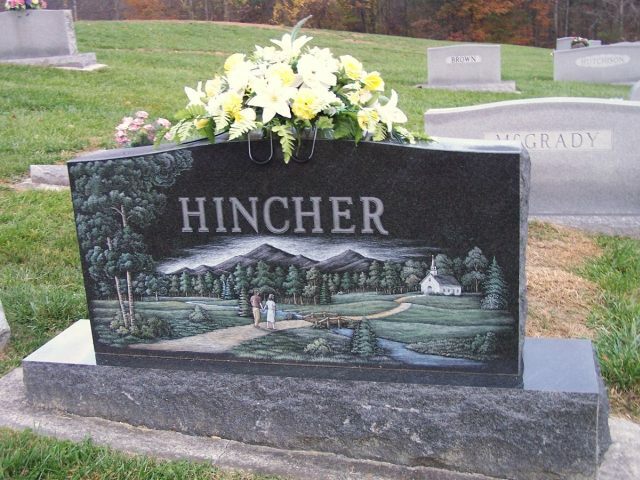 Mr. Hincher was born in Wilkes County, July 4, 1918, to James Allen and Rachel Octavia Reeves Hincher. He was a member of Old Roaring River Baptist Church. In addition to his parents, Mr. Hincher was preceded in death by his wife, Maude Lyon Hincher; four sisters, Minnie Royal, Oma Spicer, Violene Bowers, Izzie Butner; three brothers, Osco Hincher, Sam Hincher, and John Hincher. 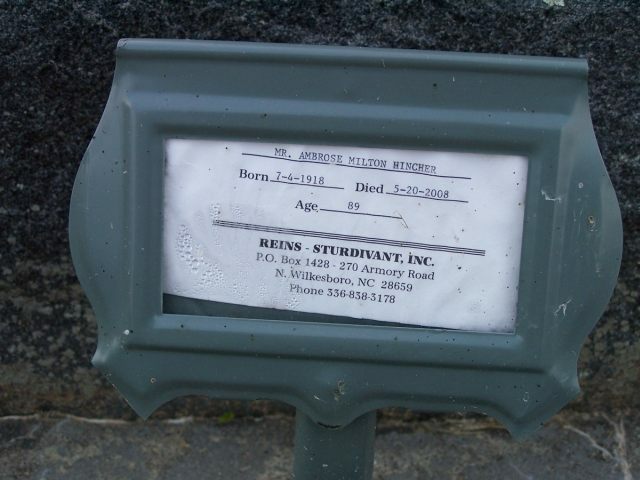 Mr. Hincher is survived by two daughters, Arlene H. Harris of Durham and Rachel H. Jordan and husband, Mike of North Wilkesboro; four sons, Fred M. Hincher and wife, Joyce of Elkin, Ray Von Hincher and wife, Judy of Summerville, SC, J. Clyde Hincher and wife, Jane of Beaufort, SC, Allen L. Hincher and wife, Sandra of New Bern; one brother, Albert Hincher of North Wilkesboro; 10 grandchildren, Randall D. Hincher, Kevin M. Hincher, Jody L. Hincher, Donna Harris Taylor, Kim Harris Cone, James E. Harris, Jr., Bradford V. Hincher, Lisa H. Philp, Jason C. Hincher, Caroline H. Wilson; 15 great grandchildren; a special family friend, Jospehine Crabb of Elkin. Flowers will be accepted or memorials may be made to Old Roaring River Baptist Church Cemetery Fund, 10399 Longbottom Road, Traphill, NC 28685. 1940 census, Edwards Township, Wilkes County, North Carolina; roll T627-2988, ED 97-6, page 17B, line #72, household #280. Contribution from Allen Lee Hincher. Contribution from Fred Milton Hincher. 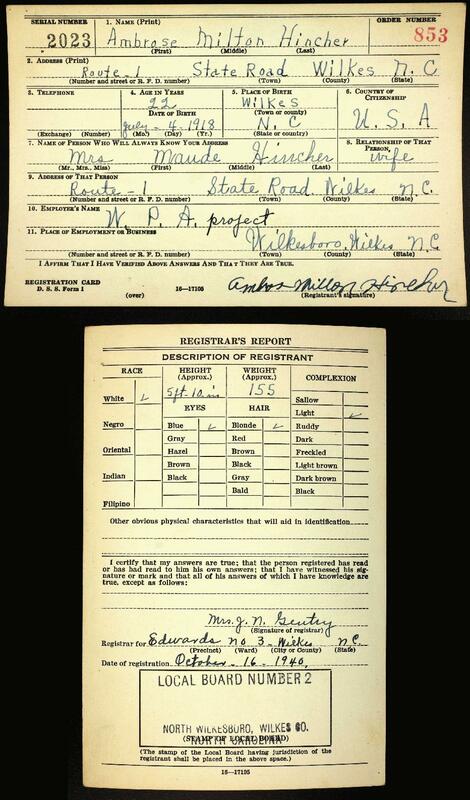 1930 census, Traphill Township, Wilkes County, North Carolina; roll T626-1728, ED 24, page 8A, line #19, dwelling #145, family #145.